BottleDrop is the system for redeeming bottles and cans in Oregon. With clean and spacious indoor facilities, friendly and helpful staff, and a BottleDrop Account, BottleDrop makes returning deposit containers and fundraising fast, clean and convenient. 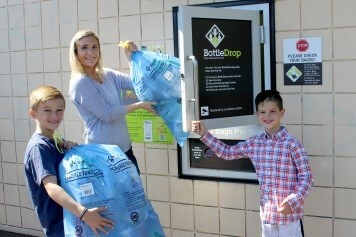 The RCC Foundation has blue BottleDrop bags for recycling deposit bottles and cans for the benefit of RCC! Anything that has a deposit return amount can be given to help - glass bottles, cans, and plastic bottles. The Featured Fundraiser program of the Oregon Beverage Company’s BottleDrop gives the RCC Foundation access to the Fundraiser Blue Bags which can be filled by our supporters and dropped off at any BottleDrop center! As a Featured Fundraiser with BottleDrop, RCC Foundation purchases the blue bags, and adds our specific scan tag, so that when a filled, tagged blue bag is dropped off at any BottleDrop location, the deposits automatically go to the RCC Foundation. Want to help? To get our blue bags, just contact the Foundation office at 541-956-7327 or email RCCFoundation@roguecc.edu – then fill’em up and drop ‘em off at BottleDrop! For all incoming restricted gifts the Foundation will apply 95% of the donation to the designated benefit fund accounts and a 5% reserve will be retained for administrative and management operations. This includes all gifts designated for any and all purposes to a specific initiative, an annual or endowed scholarship, or an annual or endowed program fund, and for estate and bequest gifts. Unrestricted gifts made to the RCCF are exempted from this policy. There are many giving options available to donors of the RCC Foundation. No matter how – or how much – you give, your generosity will make a difference in the lives of the students, educators and the community served by RCC. Please contact the foundation office for specific information about any of these giving methods 541-956-7327 or email rccfoundation@roguecc.edu. Cash gifts are the most common charitable gifts because they are simple and easy to deliver and result in a charitable tax deduction for the year given. You can choose to make a one-time cash gift or make donations on a monthly, quarterly or any payment schedule. Your credit card can be automatically charged on a regular basis if you wish. The foundation readily accepts stocks or other securities as donations. By contributing a long-term appreciated stock or other security, you are helping secure the educational goals for students, and you may avoid capital gains taxes while taking a charitable deduction. Gifts of appreciated real estate, such as a home, vacation property, or undeveloped land, may allow a donor to avoid significant tax liability. There are various ways property may be donated. One frequently overlooked way to make a charitable contribution is by using qualified retirement assets. By naming the RCC Foundation as a beneficiary of your retirement account, you maintain lifetime control of these assets which pass to the foundation upon your death. Your estate may be able to avoid certain income and estate taxes. Gifts of life insurance allow a donor to provide for beneficiaries, achieve substantial tax savings and make a larger gift than might otherwise have been possible. There are a number of ways to give a gift of life insurance: a policy can be contributed to the RCC Foundation or the foundation can be named as a beneficiary or successor beneficiary of the policy. You may create a named endowed scholarship fund for Rogue Community College students. An endowed scholarship currently requires a minimum contribution of $10,000. Ways to reach this minimum include one-time cash gifts, stocks and gifts given over a period of time. The foundation will be pleased to work with you on a payment schedule that allows you to establish a scholarship fund. See our Establish a Scholarship page for details to the types of scholarships you can establish. Companies and/or organizations can sponsor the RCC events throughout the year. Half of all sponsorship funds are contributed to the Rogue Hero Endowed Scholarship Fund to directly support students at RCC. This allows a sponsor to market their business to the RCC community and support student success. A bequest is a gift of any form or amount made outright in an individual's will. Charitable bequests to the RCC Foundation can be included when executing a new will or added to an existing will through a codicil and are fully deductible for federal estate tax. You may leave an unrestricted or restricted bequest of cash, property, or a portion or the entire residue of your estate. An unrestricted gift is the most valuable to the foundation and is allocated where the need is the greatest, however you may establish your own endowment or contribute to an existing fund. See Planning Information for suggested language. The Foundation accepts in-kind donations, such as equipment, artwork and computers that the college needs or that can be readily converted to cash. Please contact the foundation to see if your item(s) can further the educational goals of the college's students. These gifts are a great way to honor and pay tribute to an individual or celebrate an occasion, such as an anniversary, birthday or new family member. The foundation informs the honoree (or their family) of the gift with a note (the gift amount is kept confidential) showing that you care not only about them, but about the future of your community. The foundation accepts equipment and personal property (art work, automobiles, books) that can be of use to the college or sold quickly. It is best to contact the foundation office to discuss your potential donation before planning to make such a gift. You must obtain an appraisal for contributions over $5,000. 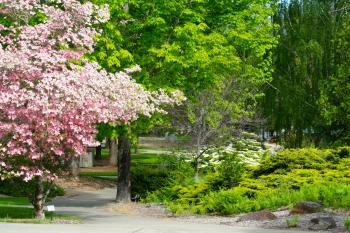 Information is provided by the Rogue Community College Foundation for estate planning purposes. Should you decide to make a charitable gift you should always consult your attorney, accountant, and other financial professionals so that the benefit of the gift meets your expectations. Not intended as legal or tax advice. When making a charitable gift you should always consult your attorney, accountant, and other financial professionals so that the benefit of the gift meets your expectations.